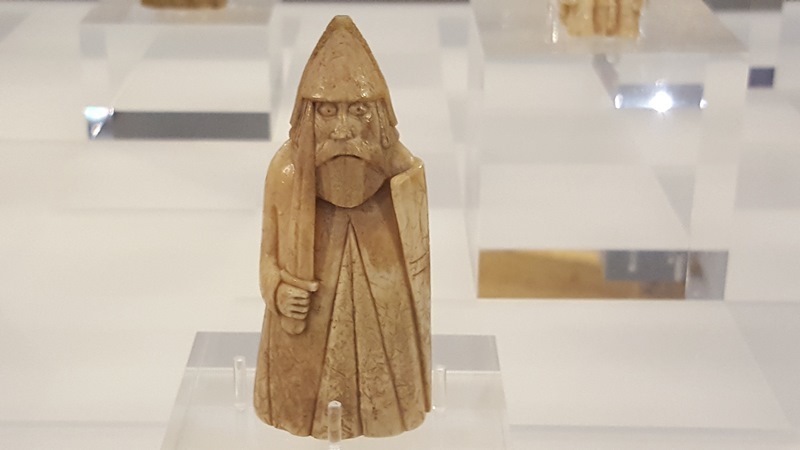 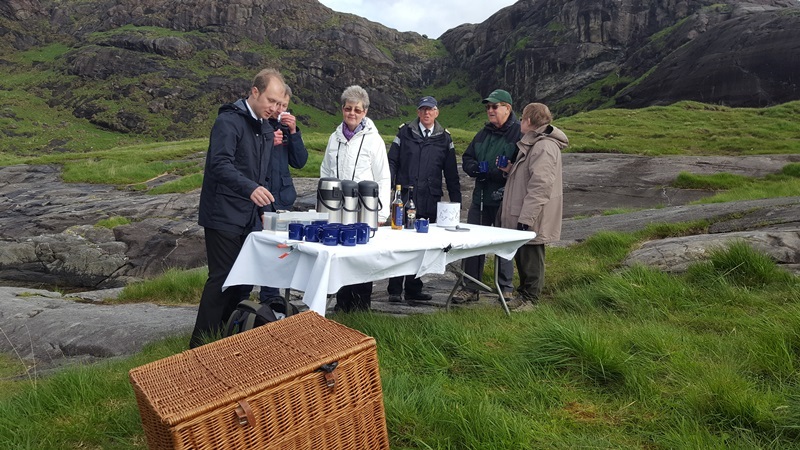 This is the first of two planned visits to the remote archipelago of St Kilda, the United Kingdom's only double UNESCO World Heritage Site. 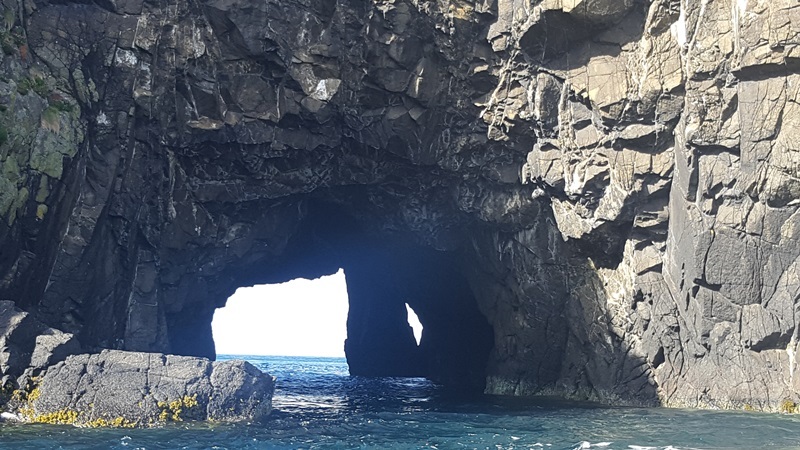 Lying approximately 120 miles off the west coast of mainland Scotland, man lived here in the harshest of conditions up until 1930. 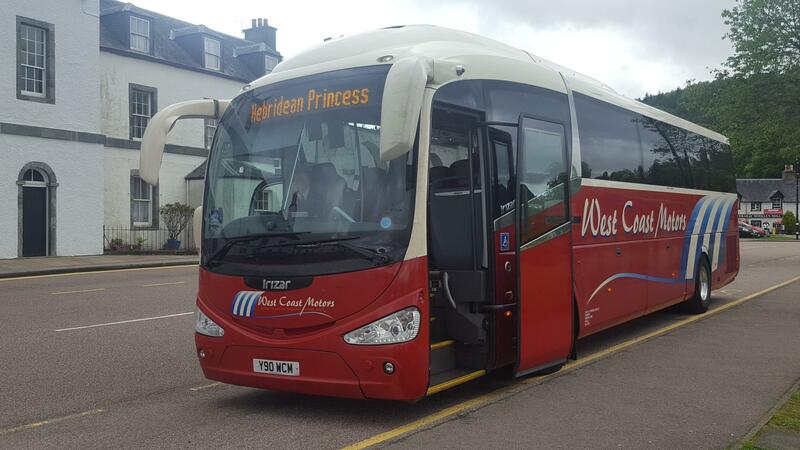 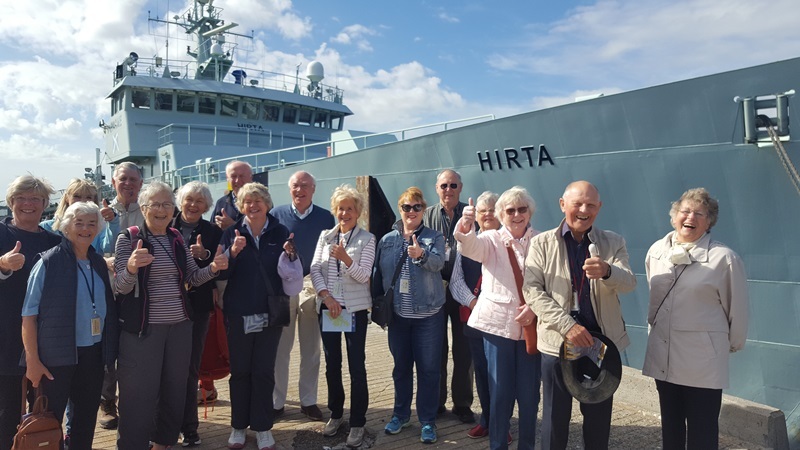 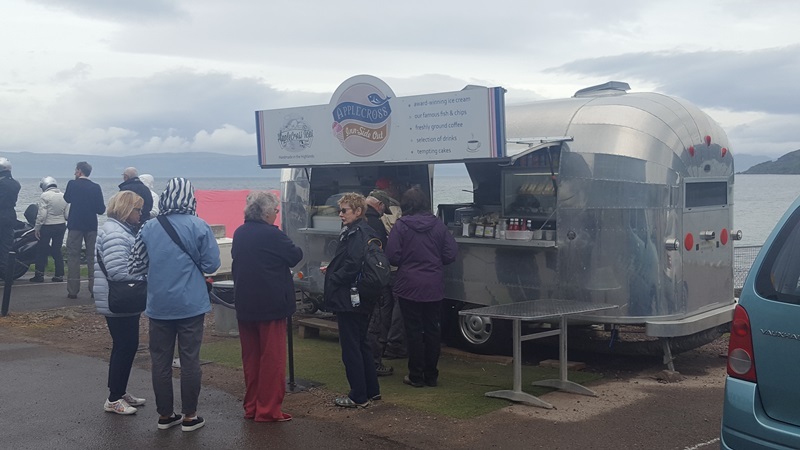 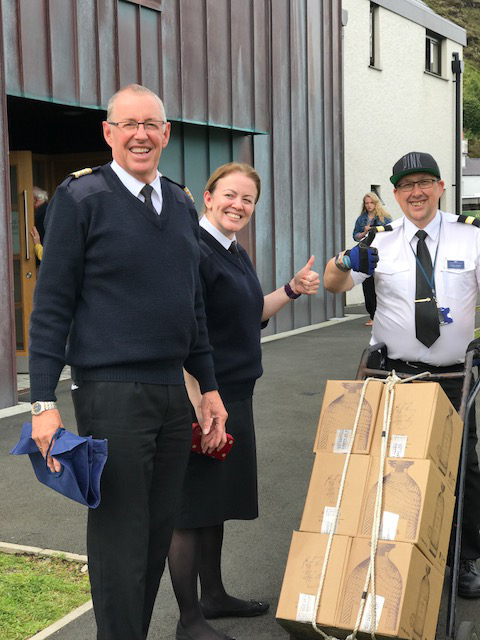 After a welcome coach stop at Inveraray for ice creams where one of the Clyde Puffers was spotted, the last guests arrived in Oban for embakation. 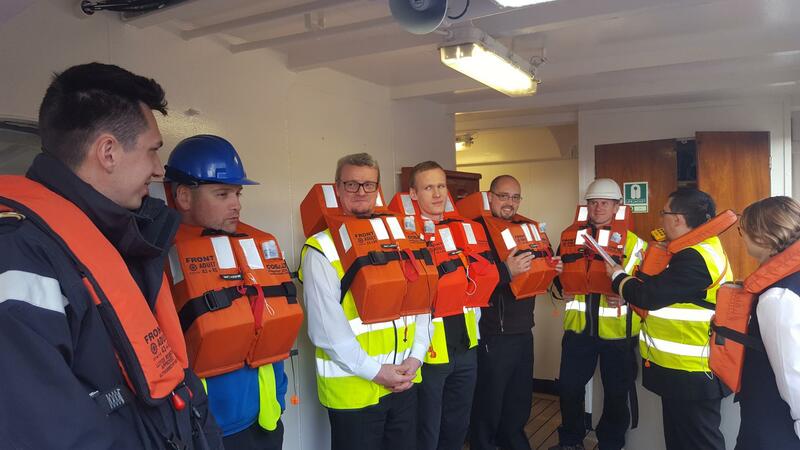 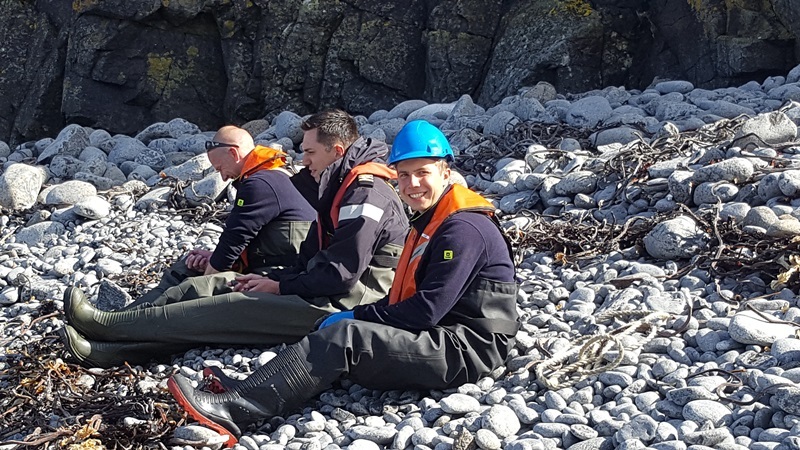 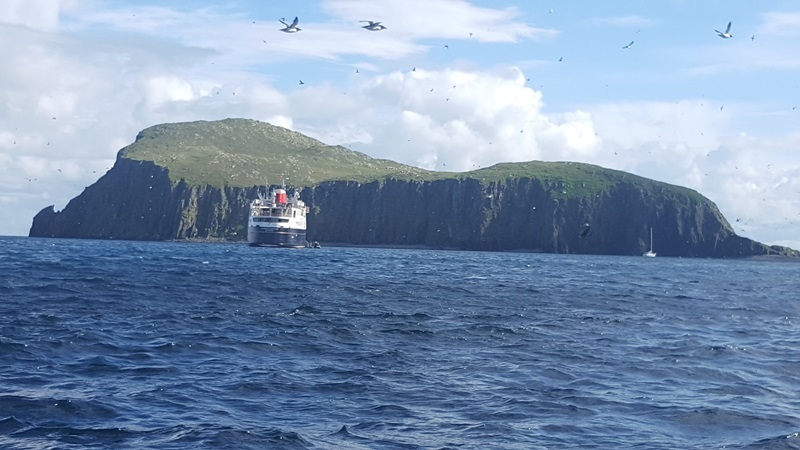 The safety drill took place, including for the crew, and we set sail to our overnight anchorage in Bloody Bay, Isle of Mull. 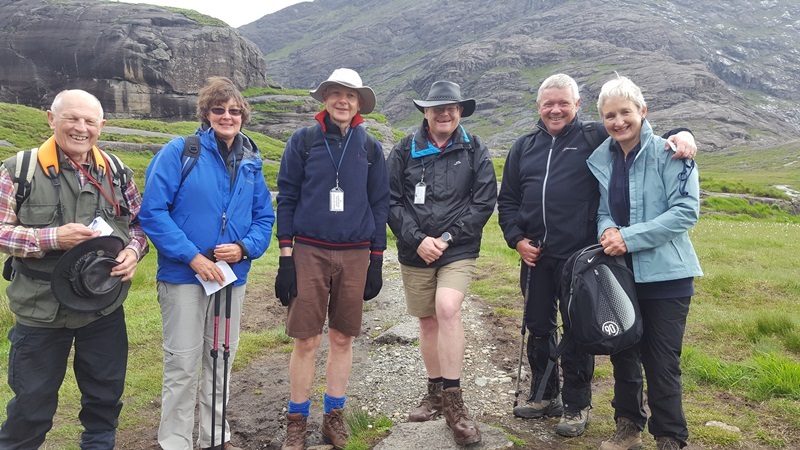 This morning we sailed into Loch Scavaig, Isle of Skye, for walks around Loch Coruisk , lying amongst dramatic scenery at the foot of the Black Cuillin ridge. 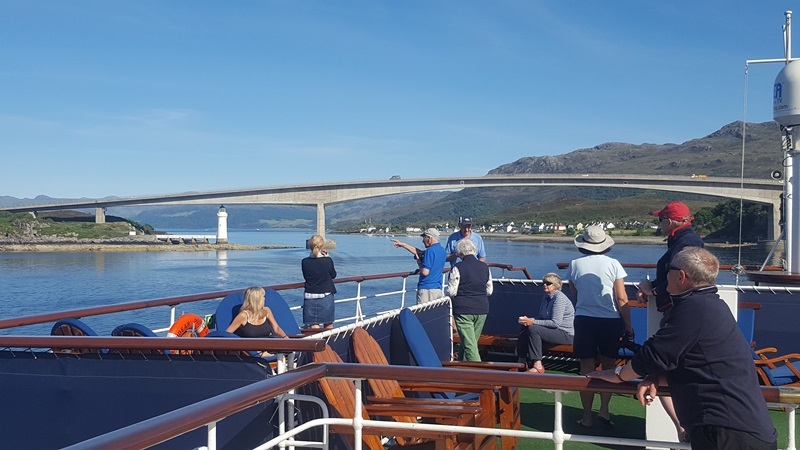 Guests spent the afternoon relaxing on board as we cruised the Sound of Sleat, Kyle Rhea and under the Skye Bridge on passage towards our overnight anchorage in Upper Loch Torridon. 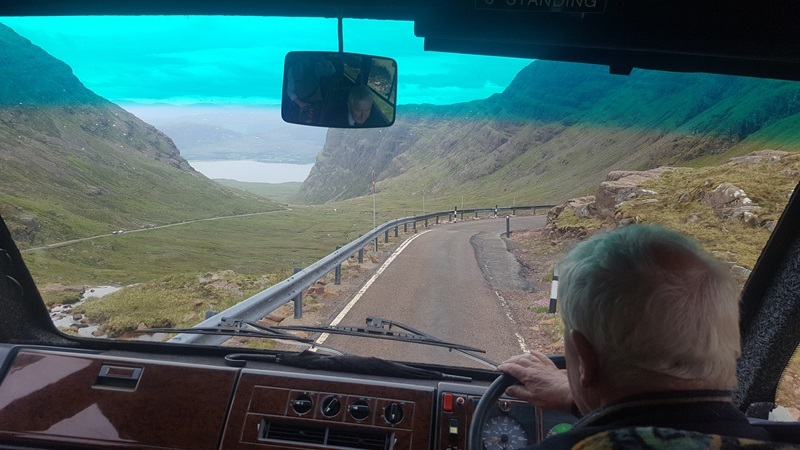 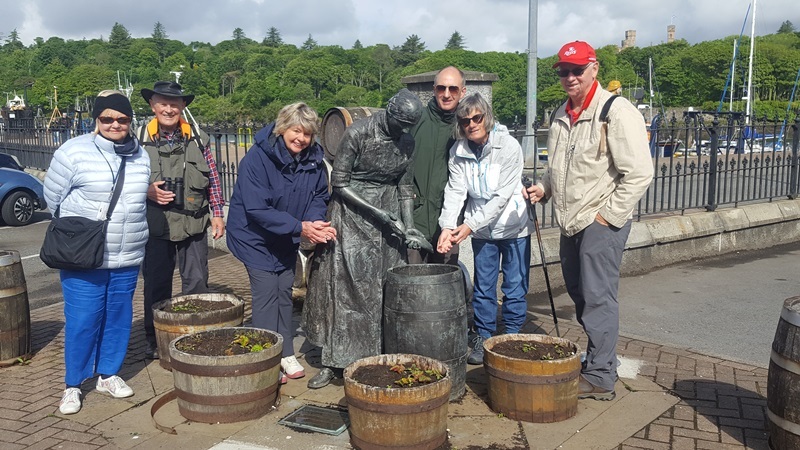 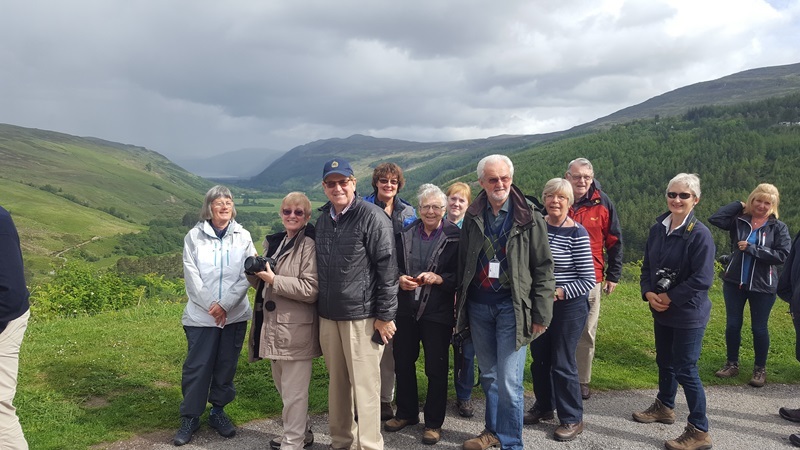 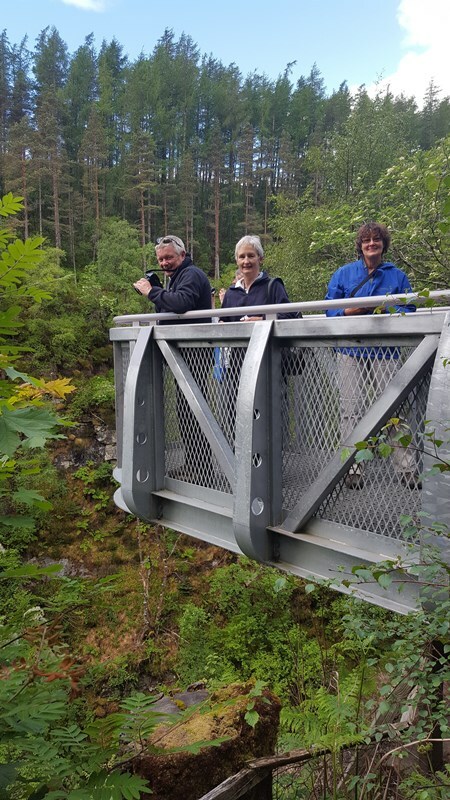 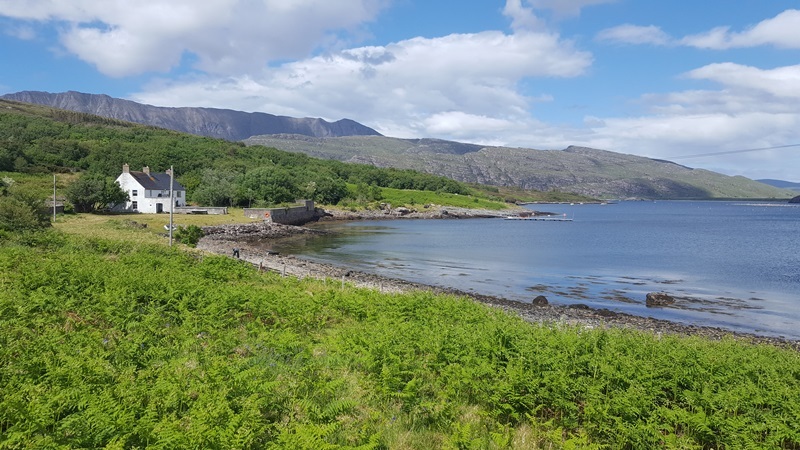 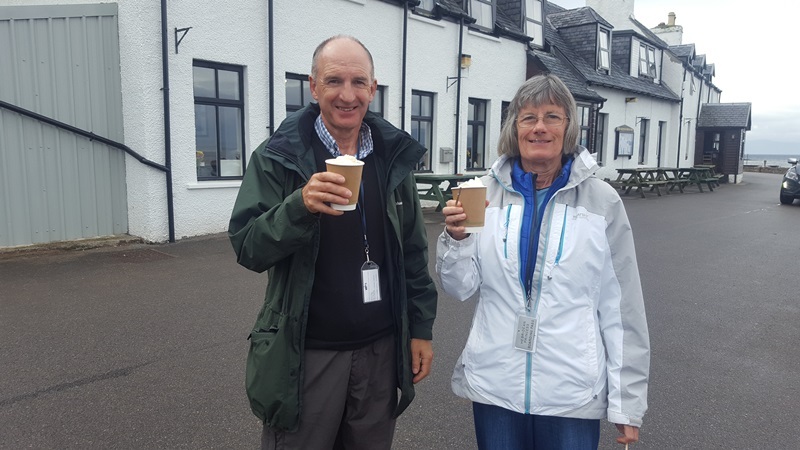 This morning guests had the option of walks around the pretty village of Shieldaig or a scenic drive of the Bealach na Bà mountain pass to Applecross which rises to over 2,000 feet. 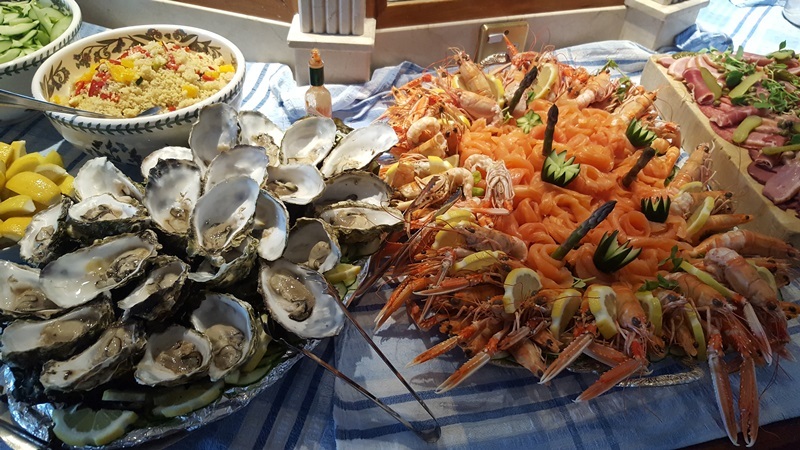 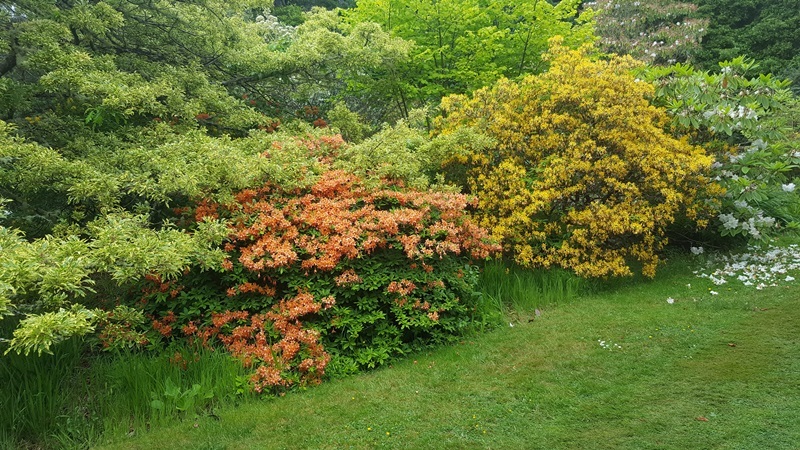 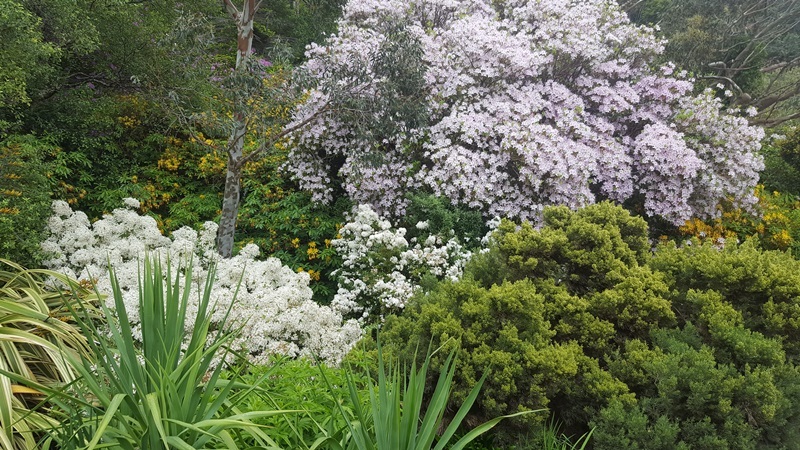 Over a seafood buffet lunch we sailed to Gairloch for a visit to Inverewe Garden. 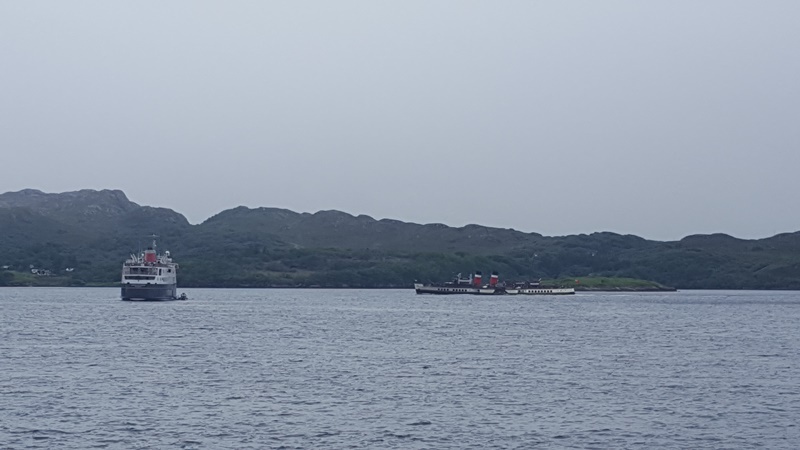 The Waverley also called in at Gairloch whilst the ship was at anchor. 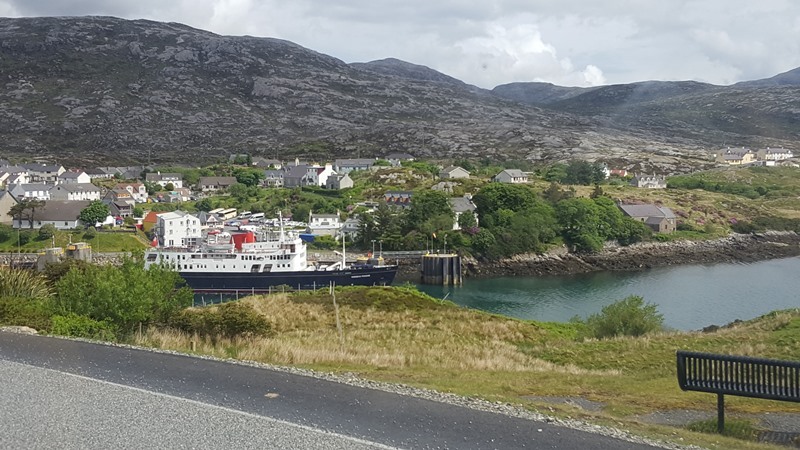 We berthed alongside overnight in Ullapool. 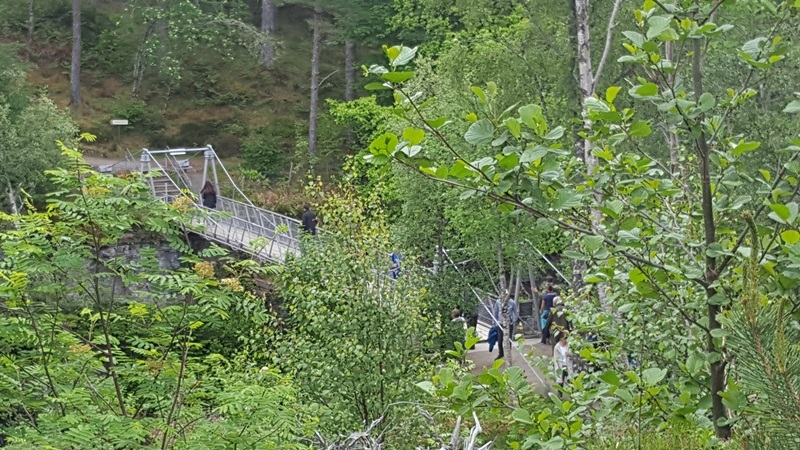 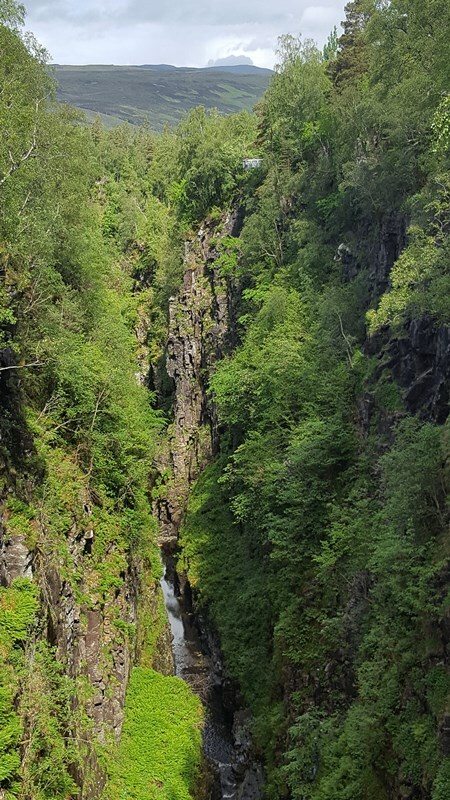 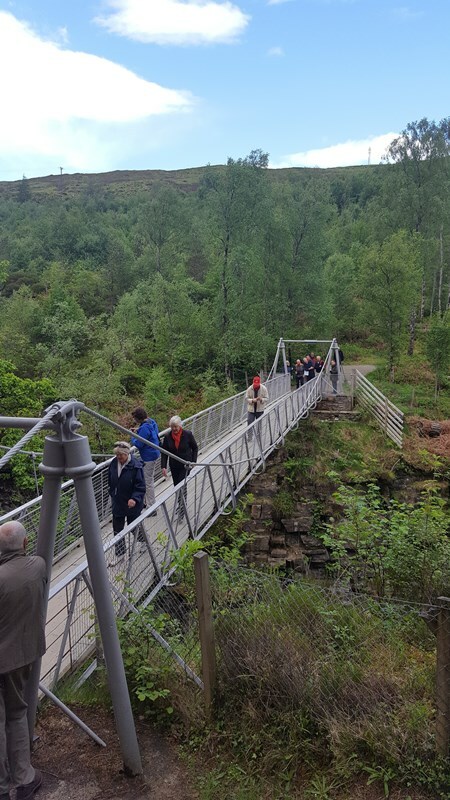 This morning was spent at the dramatic Corrieshalloch Gorge where guests could view the deep tree-shrouded chasm and series of crashing waterfalls from the Victorian suspension bridge. 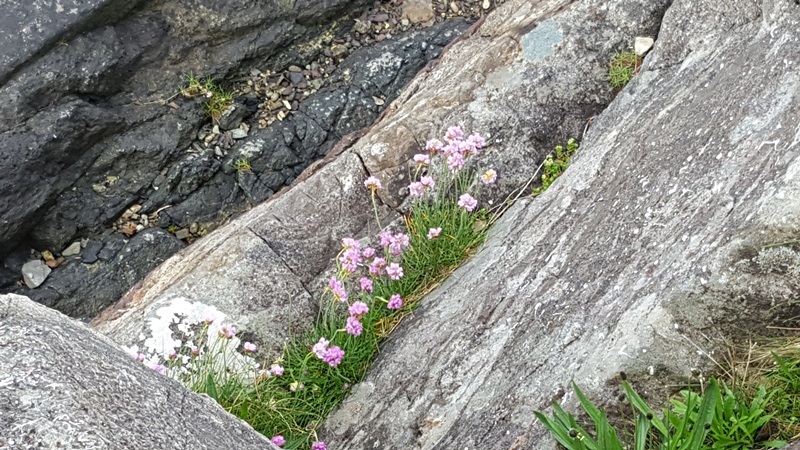 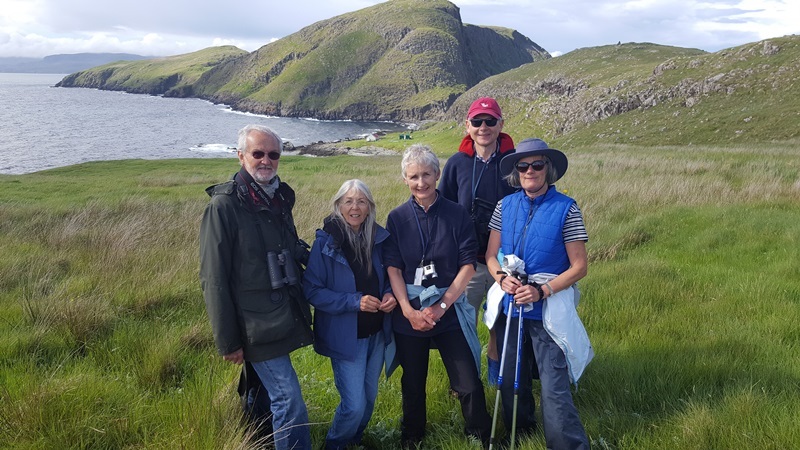 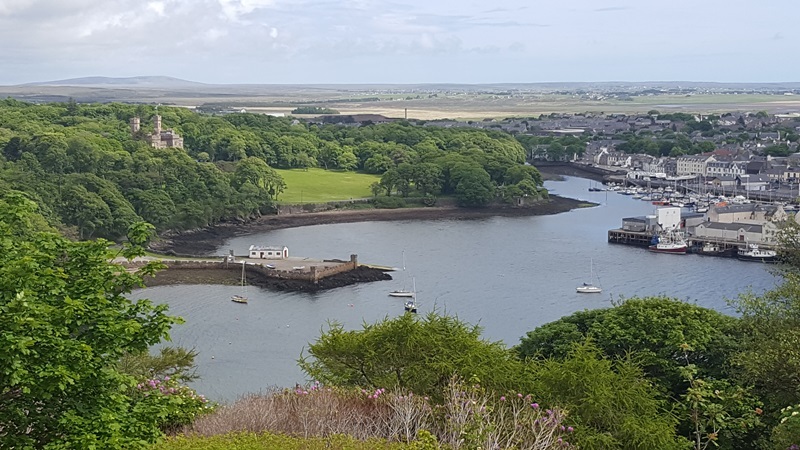 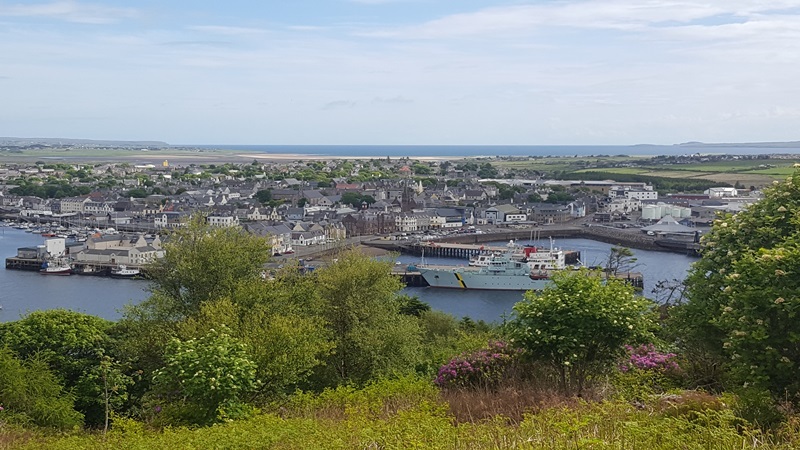 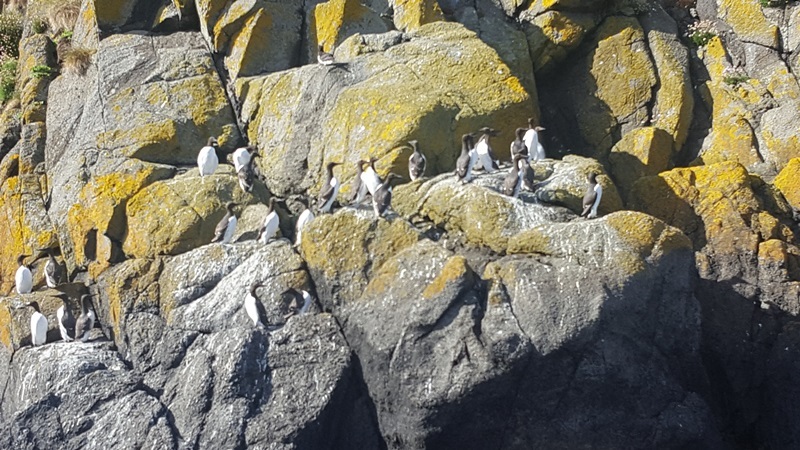 We visited the uninhabited bird sanctuary of Isle Martin in the afternoon where guests enjoyed walks on the island, ahead of an eanrly eveing sail across The Minch to Stornoway where we berthed overnight. 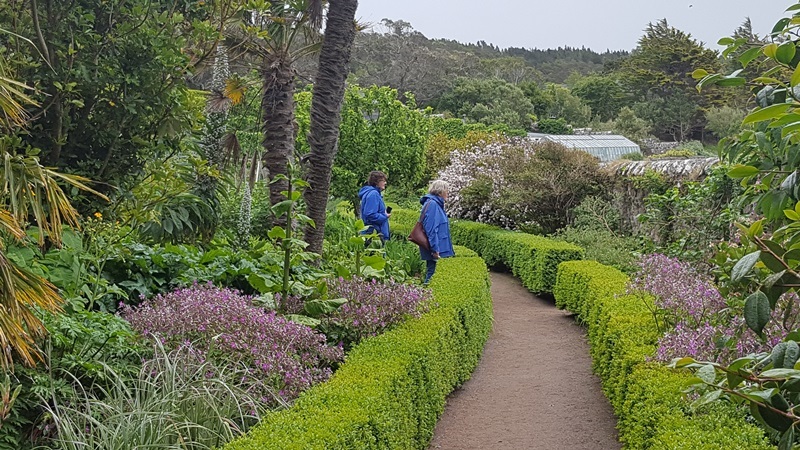 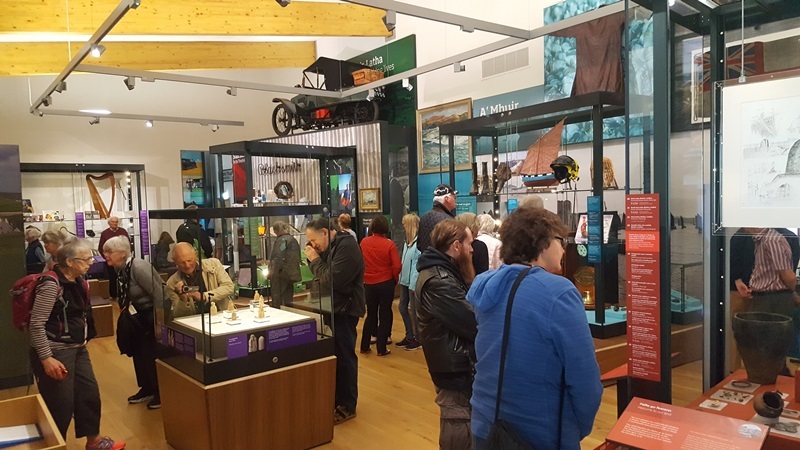 Guests visited Lews Castle Museum this morning and also explored the 270 hectares of gardens, parklands and woodlands. 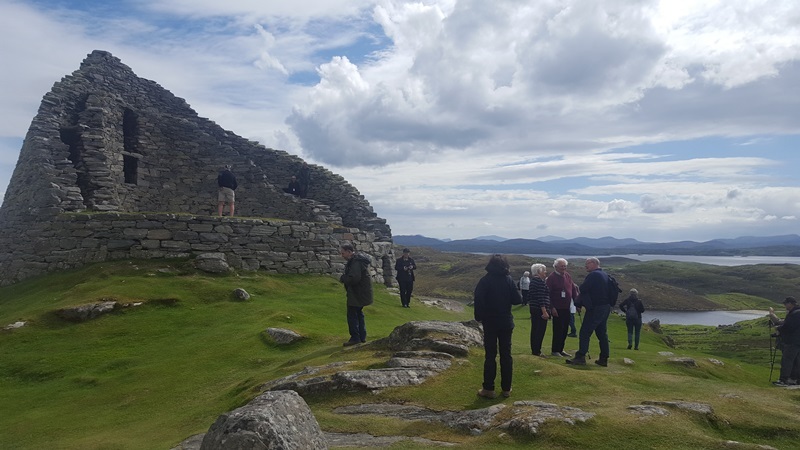 After lunch on board we travelled to the Callanish Standing Stones and Dun Carloway Broch and remained alongside in Stornoway overnight. 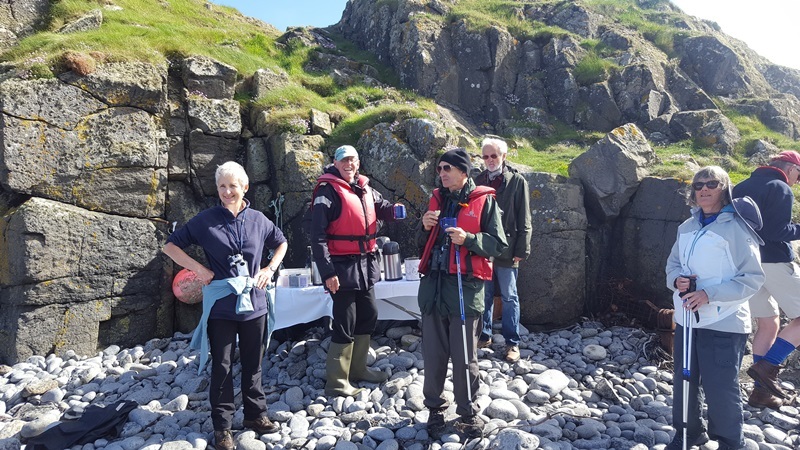 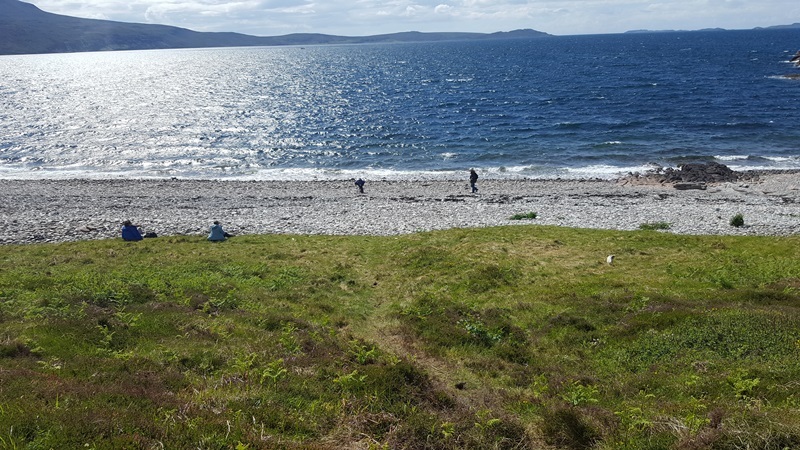 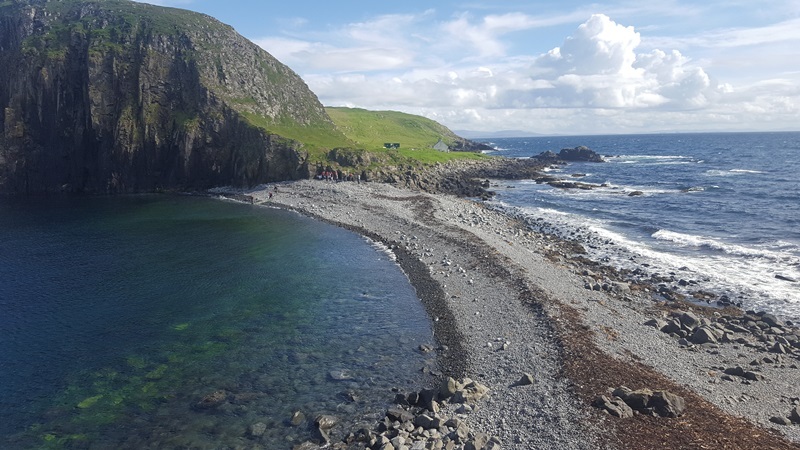 After free time to explore Stornoway this morning we made a beach landing on the Shiant Isles in the afternoon where guests explored the solitude of these privately-owned islands which are important breeding grounds for a myriad of seabirds, including puffins. 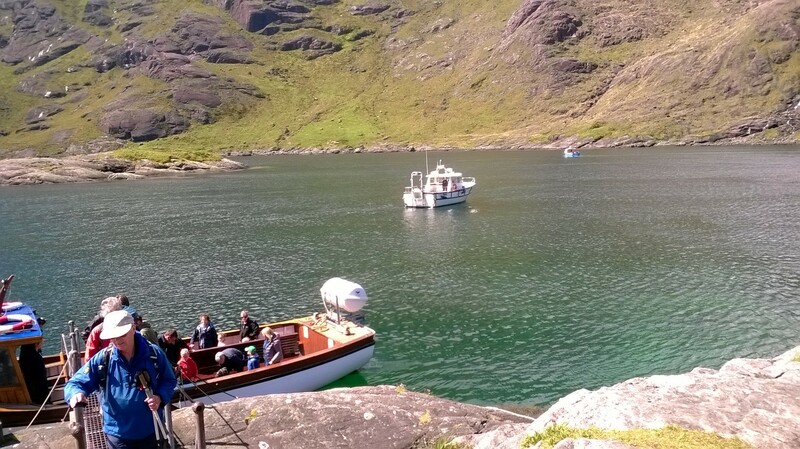 We anchored overnight in East Loch Tarbert, Isle of Harris. 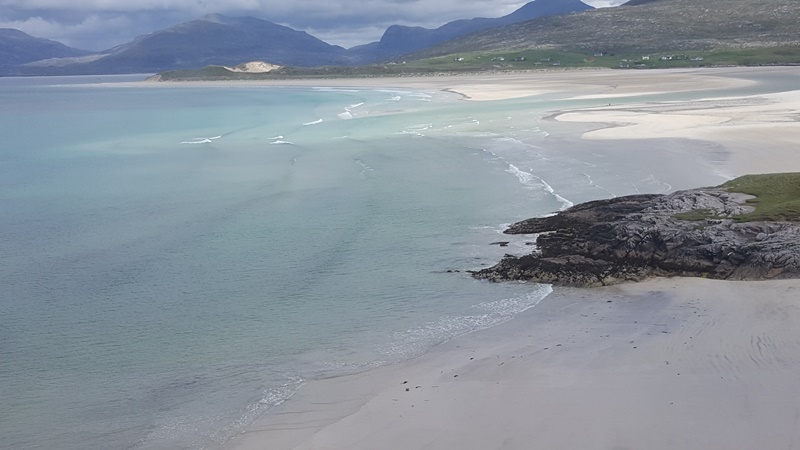 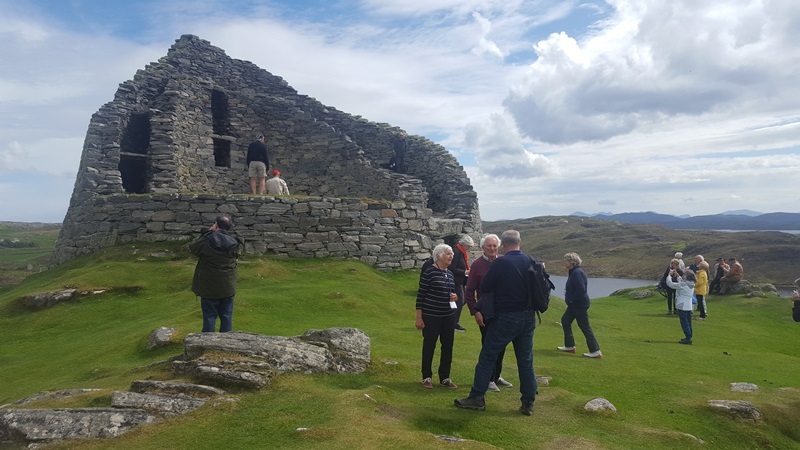 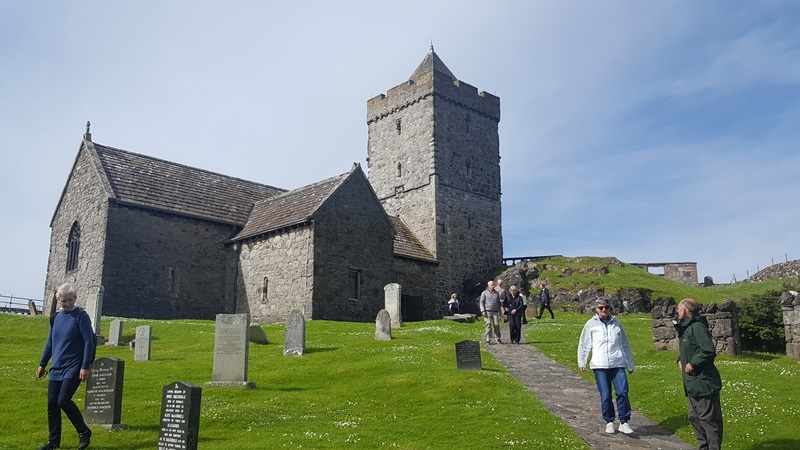 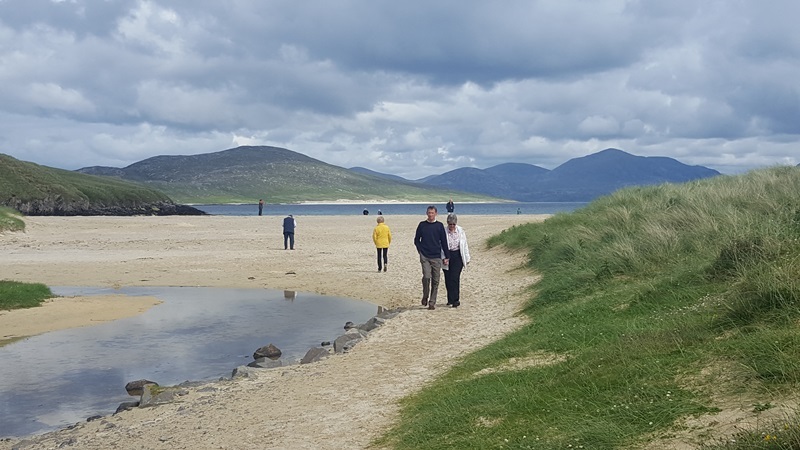 The final morning of our cruise was spent on the Isle of Harris where guests toured the island including Rodel Church and Horgabost beach. 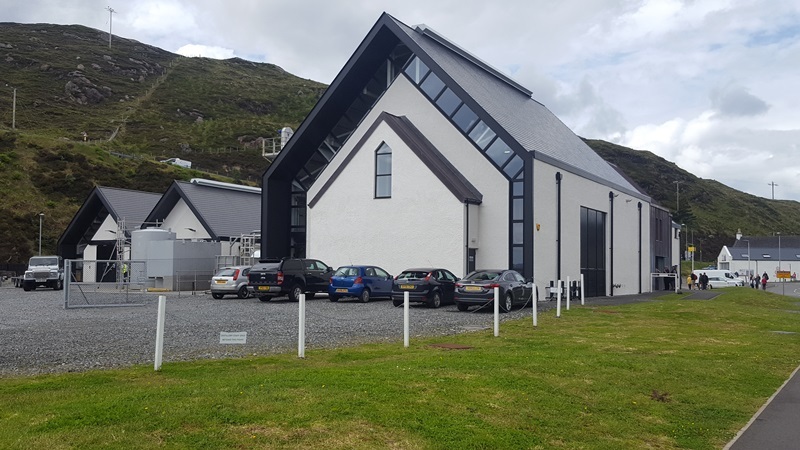 Whilst in Harris the ship topped up their supply of the local gin which has become a favourite with our guests! 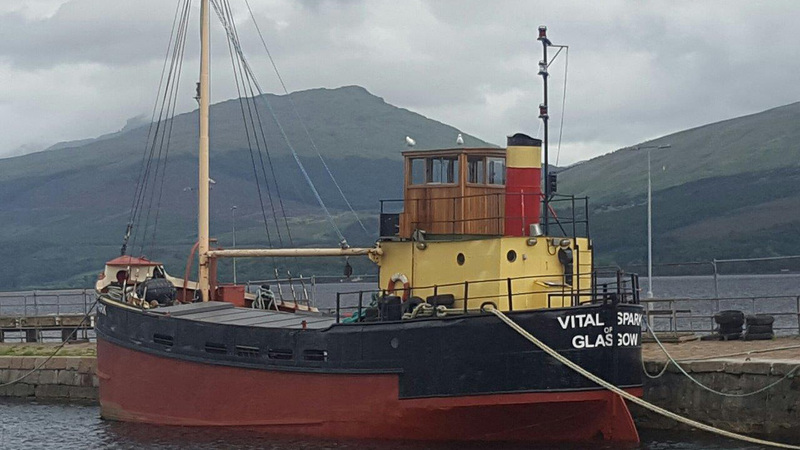 Thanks to Mrs Lewin for this image. 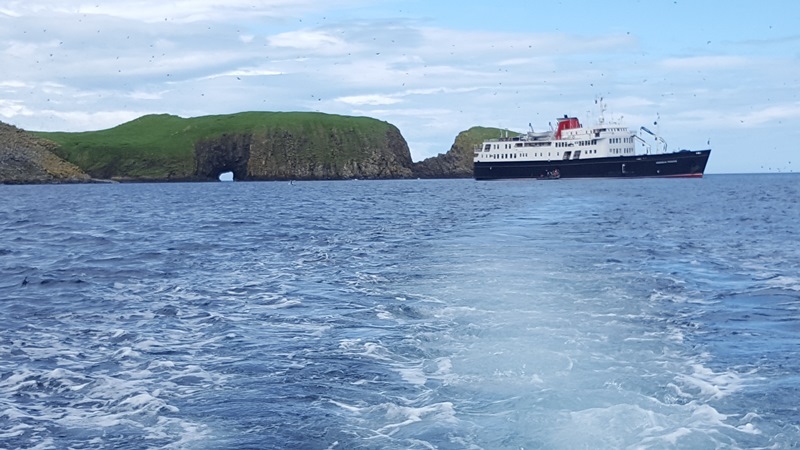 A relaxing final afternoon was the order of the day as we cruised The Little Minch, past the Small Isles and into the Sound of Mull on passage towards our overnight anchorage in Ardtornish Bay. 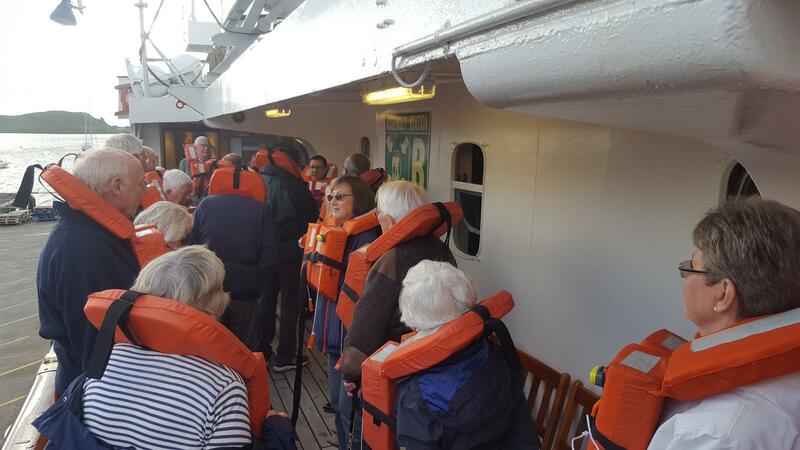 We sailed into Oban this morning for disembarkation to take place.